Last month, Overwatch pro Félix “xQc” Lengyel found himself apologizing profusely into a video camera from atop an accidental throne of cardboard boxes. It was not his finest hour, but in some ways, it’s just part of the job. Dallas Fuel is the closest thing to a star-studded lineup you’ll find in Blizzard’s fresh-from-the-incubation-tube Overwatch League. They’ve got Seagull, maybe the best-known Overwatch player period, in addition to other big streamers and names like Taimou, Effect, and xQc. Owner Mike Rufail is well aware of his roster’s reputation, and he wants to emphasize it, rather than blot it out with blinding stage lights and faux-professionalism. “I think a lot of it is breaking some of the barriers that mainstream professional sports have put in place,” Rufail said as part of an interview at an Overwatch League media event in Los Angeles last week. “We welcome the idea of letting our players be who they are.” Already, though, that’s caused some friction. Lengyel released his apology video in December because he’d recently gotten suspended from Overwatch for throwing matches on stream in a fit of rage. 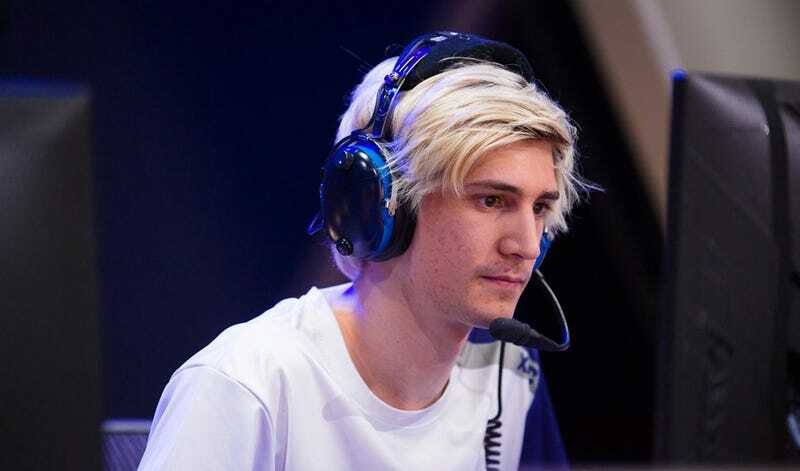 He was not the first pro to get in trouble before OWL’s first real season even kicked off, but his blow-up was easily the most publicized because, well, he’s xQc. He’s built up a following not just by virtue of playing a mean Winston, but also because he’s a brash, expressive personality. Restraint isn’t his strong suit, and that’s what people like about him. Unfortunately, the day he threw those matches, he’d hit a breaking point. So he took it out on his stream, something he swears is a one-time thing, and if he ever finds himself spiraling like that again, he’s gonna “just stop” instead of carrying on with his stream. But still, the damage was done. The pressure got to him, and he caved. Even when seismic life changes aren’t rumbling around in the background, players like Lengyel are generally under a lot of pressure. When you go from goofy, awkward kid to public figure in the span of a year or so, you don’t get a ton of chances to make mistakes in private. It all leaves Dallas Fuel owner Rufail with a tricky balancing act on his hands. He wants to play up players’ personalities and avoid forcing them to “put up a front” that fans will see through in a heartbeat. It’s a canny move, too, given that OWL teams will be making a lot of their money off merch sales, and people won’t generally buy a mug with your face on it unless they like your personality a whole, whole lot. But, despite how hesitant Blizzard and teams have been to discuss its terms, Overwatch League has a code of conduct that players must adhere to—one that might not entirely gel with players expressing themselves in public on a regular basis. Fuel has its own code of conduct on top of that. While Rufail would not divulge the exact terms of Blizzard or Fuel’s codes of conduct, he outlined them to me in broad strokes. It remains to be seen what that means for the future. In the case of Lengyel, Fuel let the brief suspension Blizzard handed out stand on its own. Given that nobody’s laid out the exact terms of the code of conduct, it’s also hard to say what kinds of lines a player would need to cross in order to incur more severe consequences. For now, Lengyel believes he’s learned his lesson, but he also said he doesn’t plan on changing much beyond adding a mental emergency brake for those moments when all the pressure shoves him off a cliff. “It’s not my typical behavior,” he insisted. One thing’s for certain, though: despite the added stress and a spotlight that won’t stop following him around, Lengyel has no plans to ease off on streaming.